I have studied relationships, however, and I’ve studied my wife. My degree in counseling and experience working with hundreds of couples has helped me process some thoughts about men and women and how they communicate. I wrote these, but ran them by Cheryl prior to posting. As I said with the men, remember these are generalized statements, so not all women will fit in each of these. There may be a deeper meaning – What a woman says most likely represents the way she feels, which may or may not be captured completely by the words she uses. It’s harder to put emotions into words. I find it important to ask Cheryl to clarify what she’s saying often. It sometimes helps if I repeat back what I think she’s saying, then allow her to tell me what I’m missing. Emotions are attached so the way you say it is important – Valuing relationships and people, women tend to think and communicate more with their hearts. It’s more difficult for a woman to “set feelings aside”. 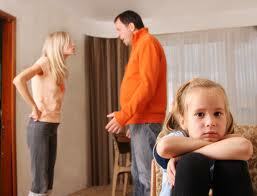 They are relational and more subject to getting their feelings hurt. As with men, some women avoid conflict and some are more comfortable with it, but the approach of an issue is important for all women. Women don’t necessarily want to avoid discussing the difficult issues, but they do want men to consider how they say things. Words can have heavier meanings for a women, since they are often interpreted with emotions. Details are important if they are attached to someone they love – I always joke that Cheryl can remember where the socks in the house are, because they are worn by someone she loves. Women want to know details of a man’s life because she loves the man. I have to remember this when Cheryl asks for more details about my day. Sometimes her questioning about is just so she can be a part of it; not to burden me with questions. Also, because trust develops with information and experience, and because women may live closer to the emotions of an issue than even the facts sometimes, details can be important in learning to trust a man. Knowledge and information helps keep the woman’s heart from emotions such as worry or fear. Crying is a way to express and release emotions – With intense emotions; sometimes a woman can feel overwhelmed with stress, anger, grief or even pleasure. Tears are a natural reaction to life’s highs and low and are nothing to be feared. Cheryl knows, however, that when she cries I get uncomfortable. Just as a man needs to learn to use anger responsibly, the same is true of tears for a woman. Understanding this as a way of expressing emotions, however, goes a long way in helping a man cope with tears. They don’t always need you to fix things…listen as they work through it – This is a hard lesson for a man. Cheryl processes with me as she shares the burdens of her day, a stress she feels, or a disappointment in her life. She doesn’t usually want me to have an answer…at least not immediately…she wants me to be a sounding board as she thinks through the issue. I’ve learned that sometimes it is best to say nothing…just listen…until she asks me for an opinion. Of course, when she says “Go” I’m ready with the solution. 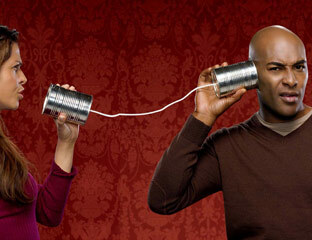 Learning to communicate better as men and women makes life more enjoyable for both genders. 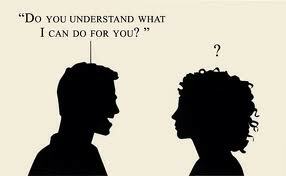 Most women I know are willing to admit that a woman can be more complicated to understand than a man. I’ve learned by experience that when I don’t understand how to communicate with Cheryl…or what she is saying…or when I mess up…I get tremendous credit for asking her to help me understand. Cheryl always seems patient with me when I’m attempting to communicate better. Men, it’s worth the effort! Women, what would you add to my list?